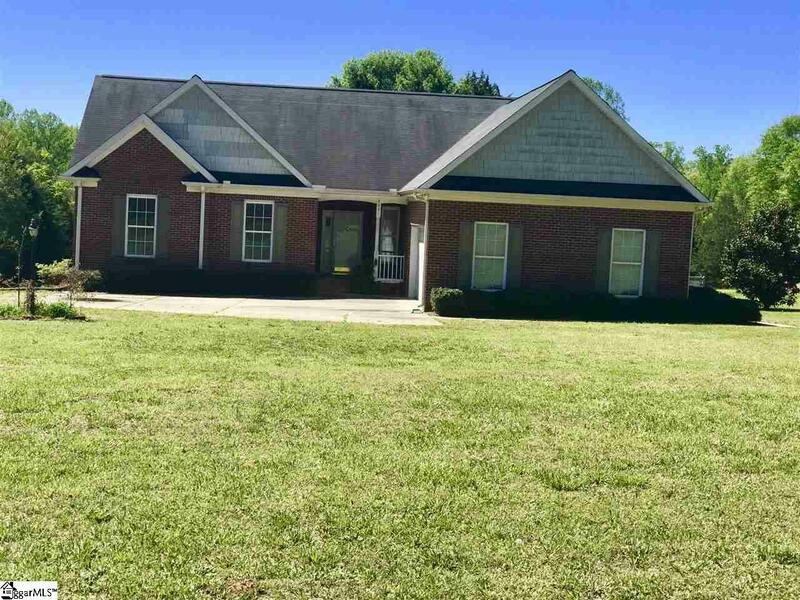 Harts Lane is the place for your family if you are looking for a great home and acreage in Simpsonville. Pull your cars into the two car garage and enter this three bedroom 2.5 bath home. The great room features a gas fireplace with a rustic wooden mantle. It is open to the kitchen and connects to the screened porch and deck that are surrounded by a small fenced in area. Open the gate and enter a wonderland of 5.2 acres of flat terrain with beautiful hardwoods and a flowing creek that calls for a fire pit and seating area. Property has electricity hookup for outbuildings. Set up an appointment ASAP. You don't want to miss this opportunity.